I love the reality show that airs every Monday evening on the W Network, “Come Dine With Me.” The show is based on 5 strangers who are self-professed “foodies.” Each must take a turn hosting a dinner party. The party is then judged out of 40 (each participant scores the host out of ten) based on food and hosting skills. The winner receives a prize of 1000 dollars in cash. The participants like to be well fed and liquored up. If these elements are left out of the dinner party, the score is usually low. One lady served grilled cheese, bought her dessert and ran out of wine. Suffice to say, she ended up in last place. The participants are usually an odd and colorful bunch, adding a lot of humor to the show. Janet and Greta offer healthy recipes, that don’t sacrifice flavor. Their recipes are very tasty and full with nutrients. 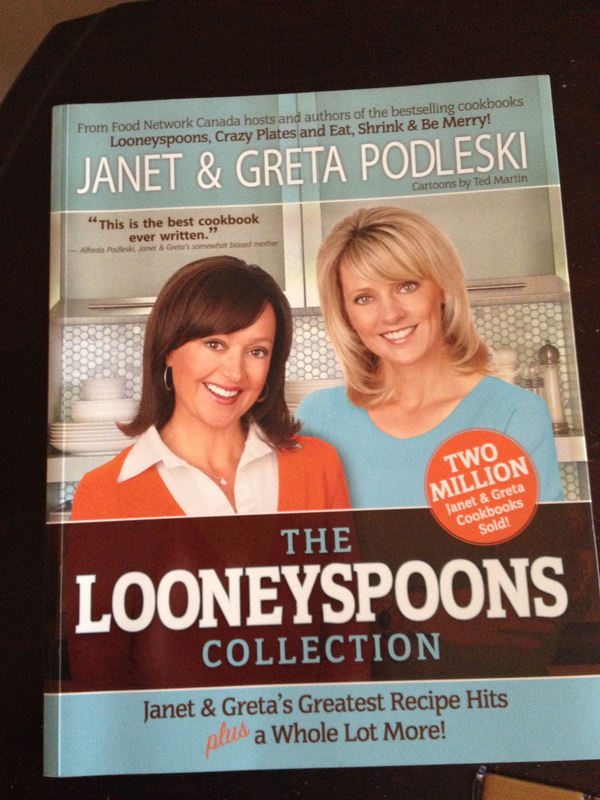 From the Looneyspoons Collection Cookbook, I will be throwing down a tasty roast beef and some “glazed and confused” carrots, as it’s called. Come Dine With Me worthy? Probably not, since I won’t be making dessert. I would definitely lose points for that. Wish me luck! Some colorful participants of Come Dine With Me. Thanks so much for your encouraging words. It really does mean a lot to read such positive comments.